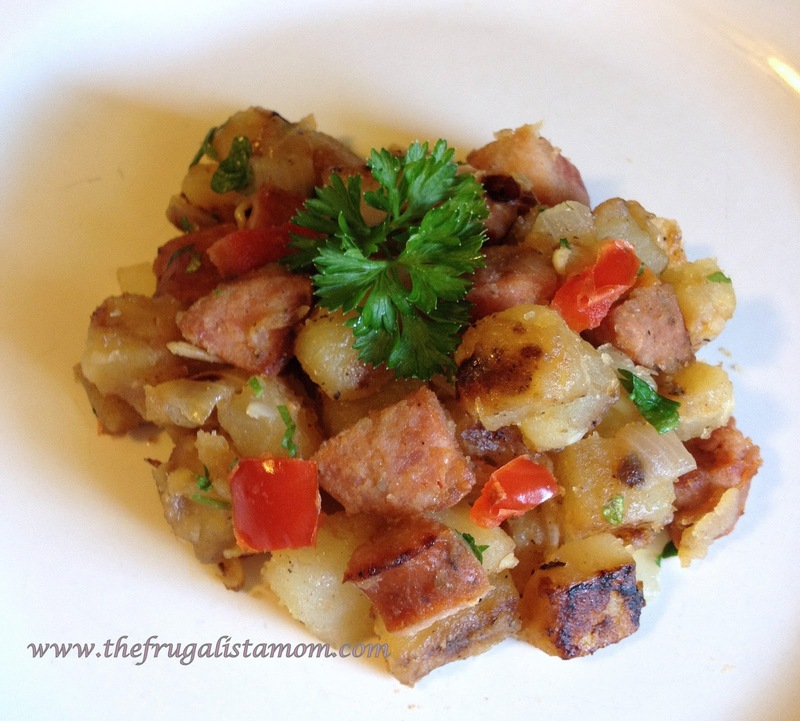 Easy to make, gluten free and food allergy friendly, this andouille sausage and potato hash breakfast dish is really healthy and delicious. Even my kids can’t get enough of it. The best part is that it can be made ahead of time. Just reheat in a toaster or microwave oven and breakfast is served. Kids are back in school! Though it is only the first week, I can already feel the pinch of having bigger kids. Homework, that are more challenging, starts to come in. The after school activities are now written in the calendar. Pretty soon, the fast paced routine will kick in. As the days become more hectic and crazier, I often rely on the help of a well stocked fridge and pantry for quick and healthy meals. Breakfast in particular, can be the most daunting. With a little planning though, I’m sure we all can provide something delicious that can make everyone actually eat and start the day right. One of my go to recipes for breakfast is this sausage and potato hash. Loaded with veggies and protein, this is a complete meal that is very easy to prepare. You might notice that the recipe has a big yield. Don’t worry because it is also prefect for a packed lunch. If you are like me, I would chop everything the night before and keep it on a big plate in the fridge. That way, all I need to do in the morning is sautéing. Isn’t that neat? 1. In a medium heated sauté pan, brown the sausage bits in olive oil. 2. Once the sausage pieces are browned to your liking, transfer it on a plate. We like ours cooked a little crunchy. 3. Using the same pan and oil, fry the potatoes for about 7 minutes. 4. Add the garlic, onions and bell peppers to the potatoes. 6. Return the sausage in the pan with the vegetables. 7. Let it cook until the potatoes are soft but firm enough to hold its shape. Depending on the size of the potatoes it may take at least 5 minutes. 8. Turn off heat and sprinkle with parsley. 9. Enjoy hot or at room temperature.